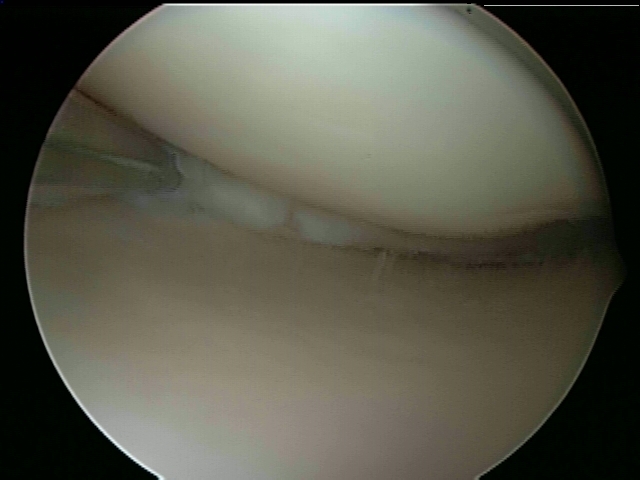 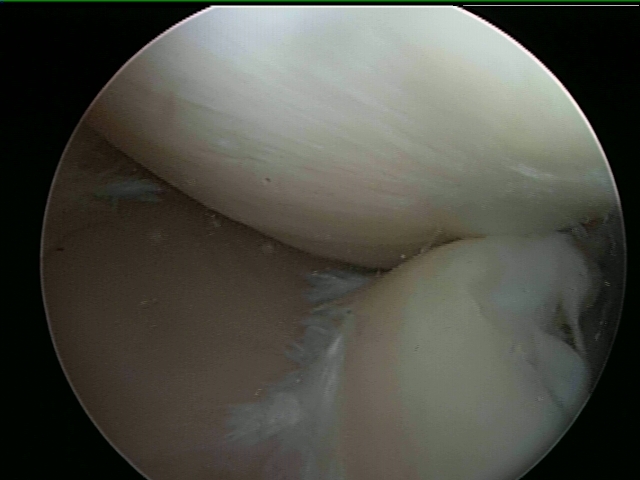 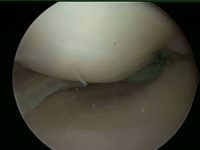 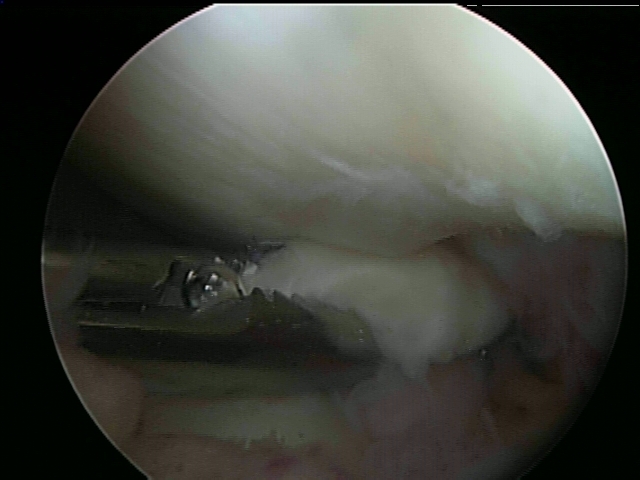 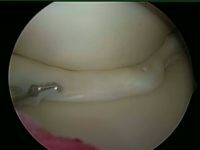 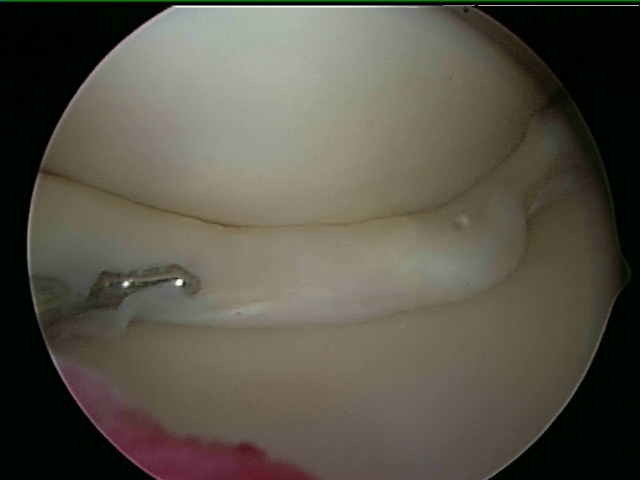 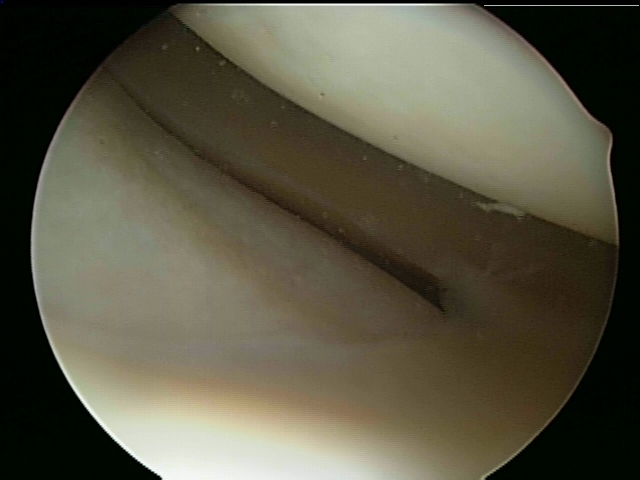 A tear of a meniscus is a rupturing of one or more of the fibrocartilage strips in the knee called menisci. Menisci can be torn during innocuous activities such as walking or squatting. 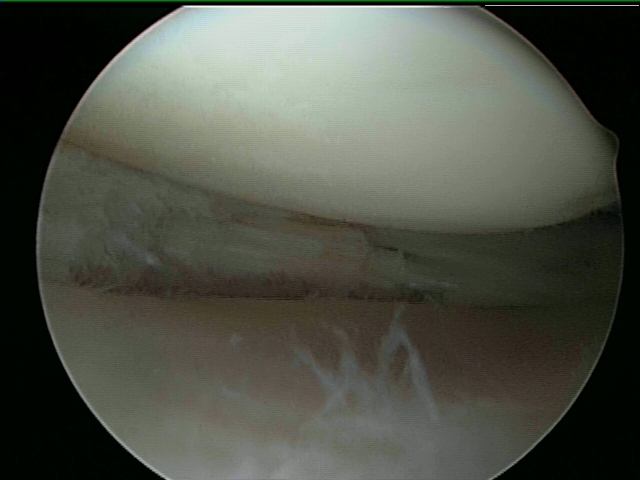 They can also be torn by traumatic force encountered in sports or other forms of physical exertion. The traumatic action is most often a twisting movement at the knee while the leg is bent. In older adults, the meniscus can be damaged following prolonged ‘wear and tear’ called a degenerative tear.